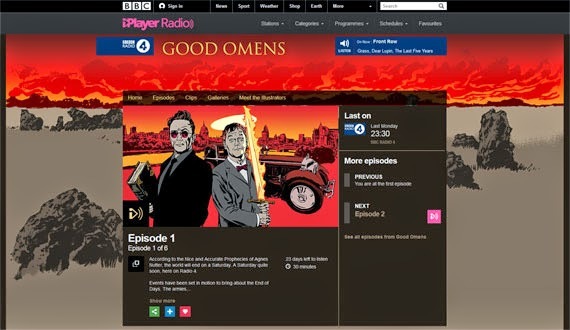 In case you missed it the first time round you can now listen to the absolutely brilliant radio adaptation of Good Omens for a second time. The adaptation really manages to do justice to the hellishly funny novel (if you haven't read it yet, it's a MUST!) and even features cameos by the authors - Neil Gaiman and the late Terry Pratchett. The episodes are only available for the next 23 days so be sure to set aside some time to listen to them all. I can't imagine a better homage to Terry Pratchett. That ending still gets me every time. I've been very, very good when it came to not buying more books. My last splurge was in August last year, but alas I fell victim to the temptation of an online book sale. 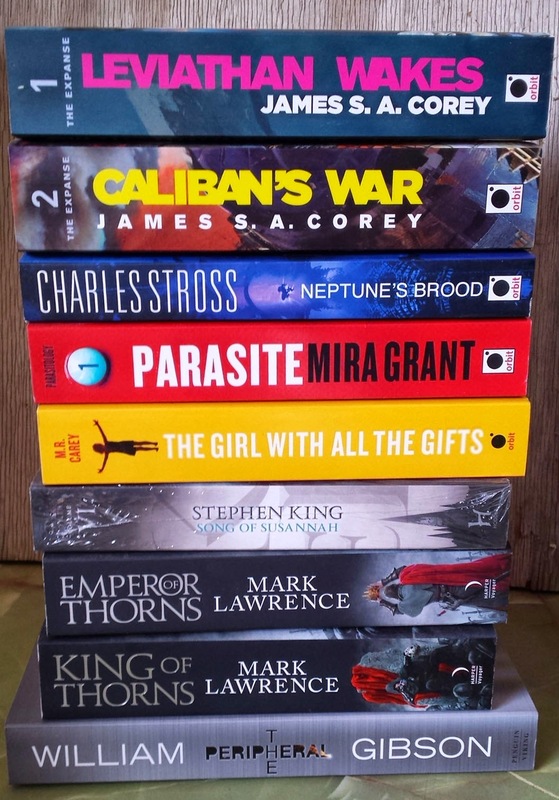 Still, seven months without buying books is an impressive feat for me. 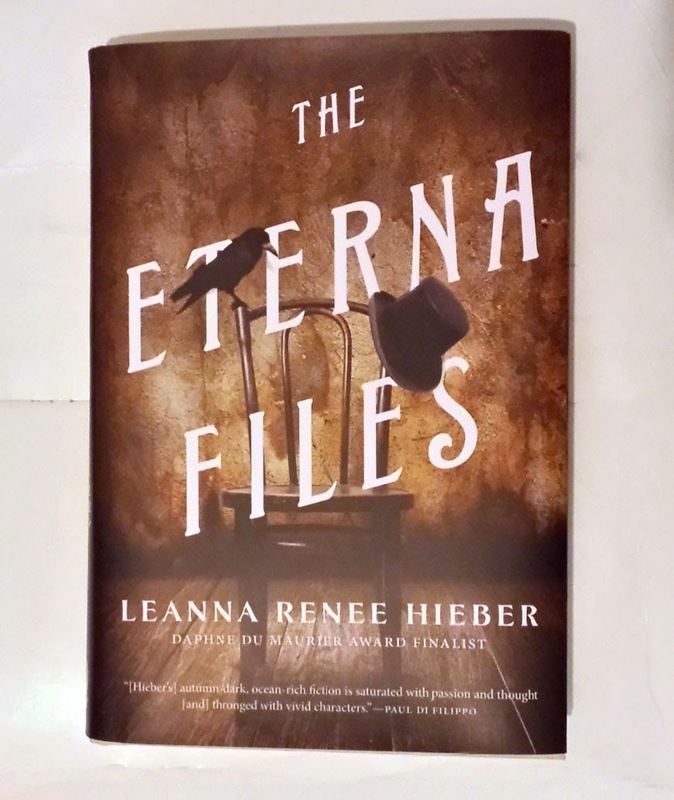 I also received The Eterna Files from the wonderful folks at Tor for review. There's nothing quite like surprise book post to turn a dreary Monday into pure awesomeness. A huge thanks to Ardi for sending this all the way to the tip of Africa! Originally I wanted to start with the iconic line "I aten't dead" from the Discworld novels, but with the sad news that Terry Pratchett passed away it didn't really feel appropriate. I still can't believe that he's really gone, the world is much, much emptier without Sir Terry. Thankfully his spirit will live on forever in the Discworld and as we all know, "A man is not dead while his name is still spoken". On that rather sad note, back to the real reason for this post. Way back in December I applied for a job which I didn't think I'd stand a snowball's chance in hell of getting. Hell, it seems, has suddenly grown a couple of icebergs richer - I actually got the job! Since the middle of February when I started with just 12 hours of prior notice I've been struggling to cope with the world of the permanently employed. It has been a HUGE adjustment for me. Being self-employed for the past twelve years has made me accustomed to a certain level of freedom. If you are your own boss there's nobody to complain that you are reading during office hours or spending way too much on Twitter. Suddenly stepping into a much more regimented environment where there's no internet access, personal devices are frowned upon and literally everyone is your superior has been a huge shock to my system. The work is mentally exhausting and the only thing I want to do when I get back home is to curl into a ball and sleep. Don't get me wrong. I enjoy the work, as frustrating as it can be at times, and the promise of a steady paycheck, pension fund and medical aid is a huge bonus. The problem is that it feels as if I don't have any time left for anything else. Surely a month and a half should've given me enough time to adjust to the new routine, but I'm still constantly exhausted. That's normal right? Oh, yes. 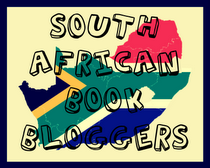 With the new job devouring all my time it seems that reading/blogging/bookishness will have to be relegated to weekend activities. Needless to say that means that the blog will be even more quiet than usual and I'll have to be very selective in accepting review requests. It breaks my heart since there are SO MANY books I'd love to read and review, but I don't want to commit myself to something I might not be able to follow through on. How do you guys cope with limited reading time and juggling full-time jobs with blogging? Any tips would be hugely appreciated.